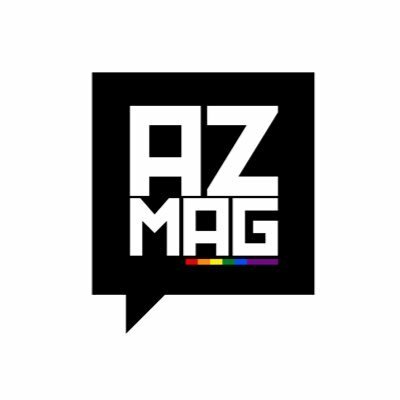 We Are Y(our) Voice – AZ magazine believe it’s important to provide an online safe space for the LGBT+ BME community to express themselves and showcase their talents. Whether you are young or old, everybody’s experience and talents are important, and we want to hear from you. We are on the lookout for new and regular online contributors, including photographers, stylists, writers, illustrators and graphic designers. So, whether you are an established professional or new to the game, and you feel your work suits our style and quality, here’s the chance to show the world your craft! We are now accepting topics relating to arts, politics, fashion, culture and music within the LGBT+ community. When submitting please follow the guidelines outlined on this page. Upon reviewing submissions, AZ Magazine reserves the rights to accept or deny any submission we receive. Submissions are reviewed based on their content, quality and relevance. We only publish the highest quality work, so make sure you step up to make the cut. Creatives (photographers, stylists, illustrators, graphic designers): All submissions should be between 6-12 images. We may not publish all images, but a maximum of 8 and a minimum of 4 will be chosen. Send in PDF or high res. JPEG format only. When submitting selected work, please provide a mini essay/description on the concept or inspiration about your selected work. Team credits are essential for all submissions, so be sure to double check that all people involved in your selected work or project are included in the credits and their names are spelt correctly. If for any reason a submission is published and an individual/s credit is missing, the person who submitted the feature will be held responsible. Along with model’s name be sure to list the agency name. Be sure to send credits as editable PDF files or Word Files. Writers: Please write us a pitch on the topic you want to write about, and include relevant links for reference. Once we’ve reviewed the pitch and approve it, we will give you a submissions deadline. Please remember to send us something original (a topic we haven’t covered yet on our site). Include the names and social media handles of everyone involved. Please allow 72 hours for us to respond. We try our very best to answer every submission, and will definitely review every email that is sent through. If you don’t receive a reply within a week of your submission then it wasn’t quite what we were looking for. For any enquiries, please contact us prior to submission. We look forward to hearing from you. NOTE: AZ Magazine is a not-for-profit organisation and as a result all submissions are on a voluntary basis.